By Jeanine Poggi . Published on April 20, 2017. 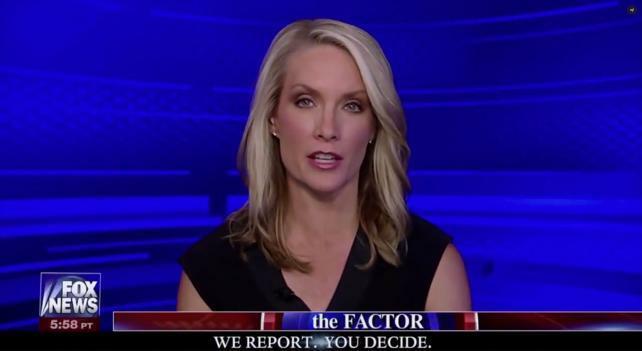 Dana Perino on 'The Factor' Wednesday night, after 21st Century Fox said Bill O'Reilly would no longer host the program. Bill O'Reilly's name was effectively wiped from Fox News on Wednesday night, with the show he anchored for two decades, "The O'Reilly Factor," renamed simply "The Factor." While the cable news behemoth has taken steps to distance itself from O'Reilly, however, advertisers that fled the show this month after The New York Times reported on sexual harrassment allegations against him are so far remaining quiet about whether things will return to business as usual now that his exit is official. Wednesday's episode of the show, anchored by Dana Perino, had the lightest ad load to date since the April 1 Times report, excluding a shortened episode on April 6 when the show was interrupted by breaking news of the U.S. missile strike against Syria, according to iSpot. Wednesday's broadcast had nine sponsors and eight and a half minutes of commercial time. It was mostly filled with direct response advertisers like My Pillow and Turbo Scrub, along with gold company Rosland Capital, which has stuck by the show amid the allegations against O'Reilly. Life insurance companies FastLife and Coventry Direct and 15-second spots for Sandals Resorts and Gravely lawn mowers also appeared. Prior to the New York Times report, which revealed that Mr. O'Reilly and Fox News paid $13 million to five women to settle sexual harassment allegations, "The O'Reilly Factor" had anywhere from 40 to 50 advertisers airing commercials on any given night, according to iSpot. A Fox News spokeswoman said discussions with advertisers regarding a return to the show are underway. Media buyers said they suspect that unless other issues emerge, Fox News won't have additional problems with advertisers. Marketers and their agencies are likely talking with Fox News' ad sales team about how to get the ratings points they've bought with the network if "Tucker Carlson Tonight," which takes over the hour starting April 24, doesn't bring in "O'Reilly"-sized numbers at 8 p.m.
Mercedes-Benz USA, which reacted to the allegations by pulling its ads from "The O'Reilly Factor," said Thursday that it wasn't making new changes to reflect O'Reilly's departure. "When we decided to remove our ads from O'Reilly indefinitely, we reassigned them to other Fox News programming," a spokeswoman said in an email. "In effect, we addressed our concerns by removing ourselves from the controversy. Our ads have always been on a wide variety of Fox programming -- as well as on other cable/broadcast news networks -- chosen to provide the best overall deliverable for us. We're satisfied with the mix we have right now but, as usual, we'll review it again down the road." Hyundai, which also reallocated its "O'Reilly Factor" advertising to other slots on Fox News, declined Thursday to provide an update on its ad plans with Fox News on Thursday. "At this time, Hyundai has nothing to announce regarding its advertising spend on Fox News," a spokesman said via email. A spokesman for BMW, which also barred its ads from running during the show, similarly said the company has nothing further to add at this point. But at least one advertiser, men's shirt maker Untuckit, praised Fox News for its decision to let go of Mr. O'Reilly. Untuckit, which iSpot ranked among the top five ad spenders on "The O'Reilly Factor" during March, will continue to advertise on Fox News after pulling out of "The O'Reilly Factor" earlier in the month. But Untuckit CEO and co-founder Aaron Sanadres did not indicate whether those ad dollars will return to the 8 p.m. time slot. 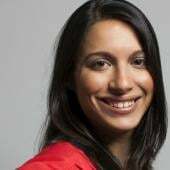 "Our concern was with the disturbing allegations made against Bill O'Reilly and not with Fox in general -- although we were naturally monitoring their handling of these allegations," Mr. Sanadres said via email. "Fox indicated their decision to terminate his contract was made after a thorough and careful review of the facts and so it appears it was a fully informed one. I fully respect their decision and commend Fox for taking action. Accordingly, we plan to continue to allocate a portion of our advertising dollars to Fox." Representatives from Jenny Craig and Allstate, among other advertisers that pulled out of "The O'Reilly Factor," did not return requests to comment. Fox News parent 21st Century Fox announced on Wednesday that it would sever its relationship with Mr. O'Reilly and "The O'Reilly Factor."